Jay-Z’s upstart Tidal streaming service has enjoyed a surge of interest after the rap mogul released his latest album exclusively on the platform. Tidal — which Jay-Z acquired in 2015 but trails far behind streaming leader Spotify as well as Apple Music — has seen a jump in downloads coinciding with the release of Jay-Z’s “4:44” album on Friday. Tidal on Friday and Saturday was the most downloaded app for iPhones in the United States, jumping 163 places from Thursday, according to tracking service App Annie. It stood at number six on Monday, behind app stalwarts such as Instagram. “4:44,” the first album in four years by the rapper who has devoted much of his energy to his business empire, came out to favorable reviews and a major buzz online over his unusually introspective lyricism. On the album, he apologizes to his wife, pop superstar Beyonce, for infidelity and reveals that his mother is a lesbian who struggled in the closet. Jay-Z chose to release “4:44” exclusively on Tidal, with the album promoted by telecom provider Sprint, which recently bought a one-third stake in the platform amid the rapid growth of streaming worldwide. 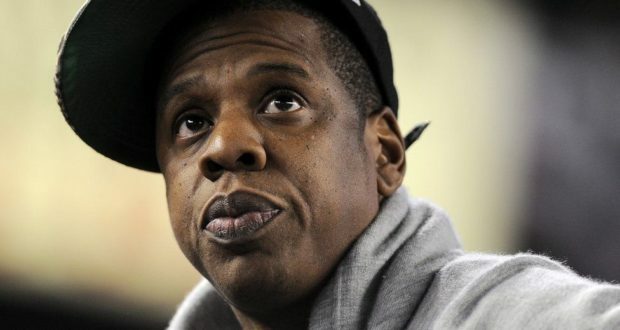 Jay-Z has not revealed whether the album will remain a Tidal exclusive. Other stars including Beyonce who released their albums through Tidal eventually made them available for download on Apple’s iTunes or on rival streaming platforms. Tidal, a Norwegian company, said last year that it had three million subscribers, although a media report questioned the figure. It is a fraction of the 50 million paying subscribers of Sweden-based Spotify, which said last month that an additional 90 million people used its free tier. The exclusive arrangement has brought uncanny moments. When Jay-Z’s album was released, social media was abuzz with loaded lyrics which he supposedly made against fellow rapper Kanye West and his wife Kim Kardashian. The lyrics turned out to be the musical equivalent of fake news — with Jay-Z taking West to task but more lightly. Some social media users acknowledged they could not access the album to verify for themselves.